TripAdvisor, the world’s largest travel site and a highly trusted source for travel reviews, recently awarded the Braco Village Hotel and Spa the prestigious 2012 Certificate of Excellence Award. The accolade honors hospitality excellence and is only bestowed upon establishments that consistently achieve outstanding TripAdvisor reviews. Only 10% of all accommodations listed on TripAdvisor receive this prestigious award and to qualify, accommodations must maintain an overall rating of 4 or higher out of 5 along with additional criteria, which include the volume of reviews received within the last 12 months. The Braco Village Hotel and Spa, formerly known as the Braco Beach Resort and Spa, has consistently received a 4.5 and 5 TripAdvisor rating by travelers, since it came under new management by the Canadian company, Sunwing in early 2012. 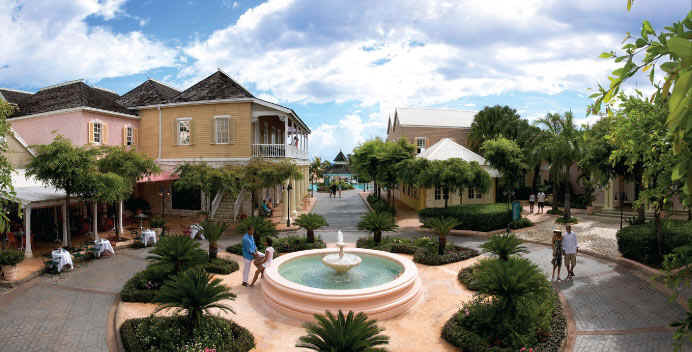 Braco Village Hotel and Spa, better remembered as the Grand Lido Braco, resembles an old fashioned Jamaican village and provides guests with a tropical haven in Trelawny, Jamaica, one of the most stunning places on the island. It has quickly become one of most popular all-inclusive hotels in Jamaica due to the rave reviews as expressed on TripAdvisor. “The Braco Village Hotel and Spa has proven to be a great addition to our Jamaica line-up,” stated Rene Jongmans, President of Vacation Express. “With its large rooms, excellent facilities and casual village feel, it is the perfect choice for relaxing getaways and family vacations.” In honor of this recent recognition, Vacation Express will be offering special promotions and savings to its clients to be able to experience this excellent resort first hand. Vacation Express’ new non-stop Sunwing flights operate to Montego Bay weekly from Cincinnati (Saturdays) and Nashville (Sundays). All Sunwing Airlines passengers are treated to “high frills” award-winning champagne service which includes a ‘bon voyage’ glass of champagne, hot towel service, a choice of hot meals or snacks, wine with meals, complimentary in-flight entertainment, non-alcoholic beverages, free checked baggage up to 44lbs. And kids backpack with games and toys. For just $40 more per flight segment, travelers can upgrade to Sunwing’s Elite Plus service which features advance seat selection, priority check-in and boarding, an extra 22lb. (66 lbs. Total) free baggage allowance and extra leg room seats. Ready to book your vacation to this outstanding Resort, give us a call at 310-722-3099 Today!